Let’s start a conversation. We’ll design your unique African safari. There are so many ways to experience an African holiday. 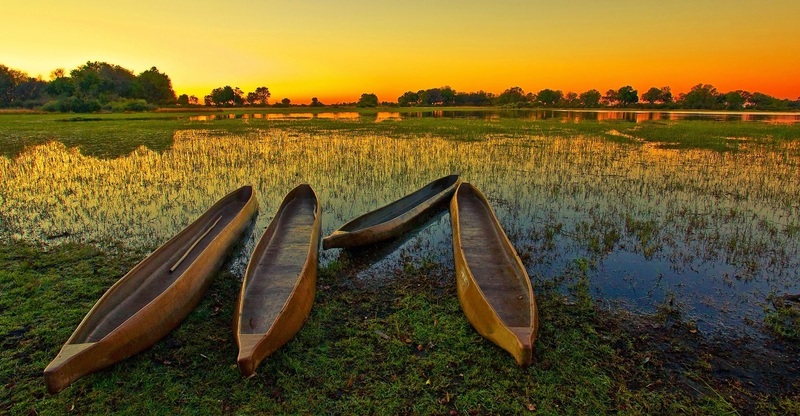 Besides the prime attraction of game safaris, can you picture yourself on a canoe on the Lower Zambezi River? Is that you with the wind in your hair on a horseback adventure through Lesotho or Malawi? For sunshine, golden sand beaches, and pure tropical bliss will you make your way to Mozambique, or the Indian Ocean islands of Mauritius and Seychelles? Traverse different arid zones: the Kalahari in Botswana and Namibia’s Damaraland. There are also spectacular liquid landscapes: Lake Victoria in Tanzania is Africa’s largest lake, ideal for a pre-safari leisurely cruise, while Victoria Falls on the Zimbabwe-Zambia border is a thundering sight to behold. And who’d have imagined there would be snow-capped mountains in Uganda! There are a thousand other reasons to visit Africa, but we’d like to tailor our suggestions to your specific likes and interests. You could begin in the Masai Mara, and end at an intimate camp in Zambia. 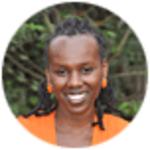 From Kenya to South Africa, Enchanting Travels knows the lay of the land, and can plan exactly the kind of private Africa tour you want. 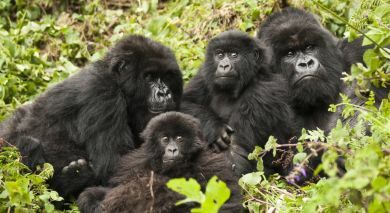 Not just the Big Five, you could meet Rwanda’s rare mountain gorillas and the almost comical meerkats of Namibia. For a taste of a cultural village, it could be the Ezulwini Valley of ESwatini (Swaziland), or a traditional fishing village in Mozambique. This is the continent to go to for a life-changing vacation. Given the sheer size of the continent, Africa experiences diverse climates across its length and breadth. Therefore, the best time to travel to Africa depends entirely on where you want to go and what you wish to do. Planning the ideal wildlife safari in Africa can be difficult given the vast size of the continent, especially if you wish to combine a visit to several countries and include unique experiences in your itinerary. Our destinations experts are happy to share an overview on the best time for safaris in Africa by region. 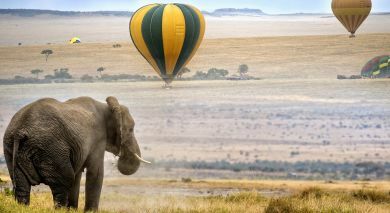 From rolling savannas to thundering waterfalls and hundreds and thousands of animals roaming freely through vast, enchanting landscapes, discover the top ten highlights of Africa, as recommended by our destination experts. 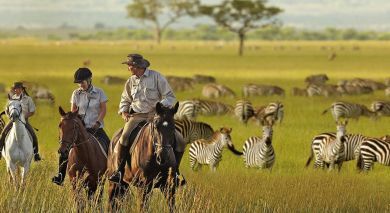 Almost every safari experience you have ever dreamed about can come true in Botswana. 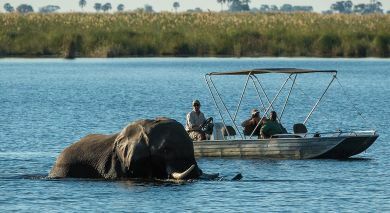 You can fly, drive, walk with Bushmen, canoe past Hippos, or wade through the delta on the back of an elephant. Botswana is dominated by the great Kalahari Desert with seasonal water sources and vast salt pans. 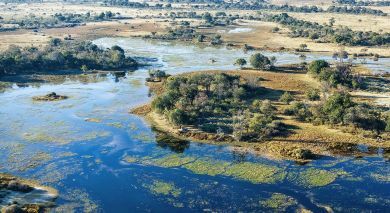 But it is the Okavango Delta that is considered the jewel of Botswana with it’s unique array of wetlands and ecosystems. 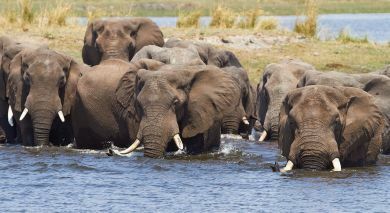 Tour Highlights: Kalahari Salt Plains, Chobe Water Safari, the Lions of Savuti, Okavango Delta Elephant Safari. The last remaining bastion of traditional Africa, the mountain kingdom of eSwaztini (Swaziland) boasts incredible landscapes and rich, authentic cultural experiences. From lofty Western Highlands to verdant gorges, waterfalls and excellent wildlife experiences, the country has much to offer nature and wildlife enthusiasts. With their colorful functions, cultural traditions and cheerful smiles, the Swazi people are always ready to welcome you to their homeland! Kenya will fulfill all your dreams of a wild African holiday. Take a front row seat to some of the biggest game in Africa. Witness the awe-inspiring Great Migration of more than one million wildebeest and zebra in the Masai Mara or take a walking safari with the local Masai Mara tribe. Adventure lovers can climb majestic Mount Kenya or paraglide over the Great Rift Valley, later you can unwind on the white sandy beaches of the South Coast. Tour Highlights: Lake Victoria, Climbing Mount Kenya, the Tsavo Landscapes, Masai Mara National Reserve, the South Coast. Ringed by mountains, Lesotho sits over one thousand meters above sea level and is fittingly known as the “Kingdom in the Sky”. The air here is crisp and pure and offers an invigorating climate. 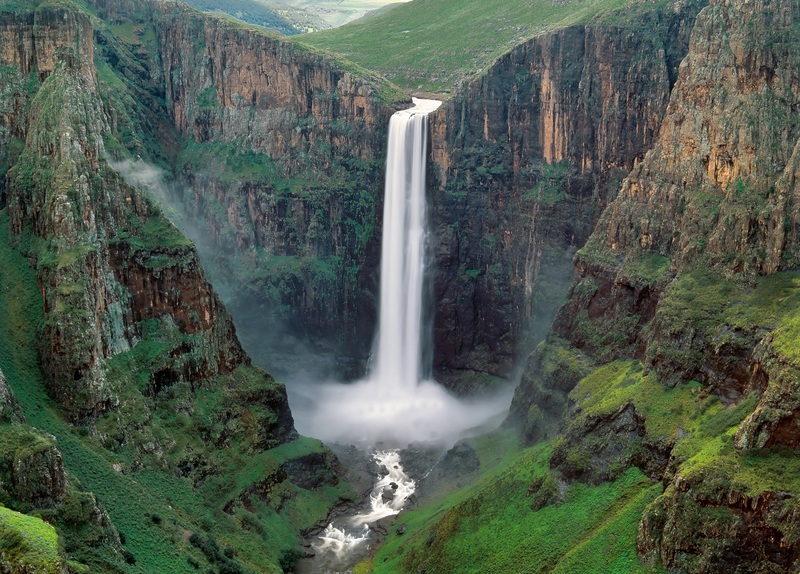 The rugged terrain of Lesotho is made up of the steep walls of the Drakensburg Mountains where you will discover lush valleys and gorges, spectacular waterfalls, wide open grasslands, and quaint villages. Tour Highlights: Maletsunyane falls – the highest in Africa, Exploring for Dinosaur Footprints and San rock art in Sehlabathebe National Park. Malawi is a small, but beautiful country at the southern end of Africa’s Great Rift Valley. It boasts fertile land, a mountainous terrain and famously friendly people. Discover vibrant green tea plantations, explore the rolling highlands of the Nyika Plateau, or witness the crystal clear Lake Malawi, (known as the Lake of Stars) that stretches over 300 miles and is a haven for water sports and beautiful beaches, particularly on Likoma Island. Tour Highlights: Lake Malawi, the Zomba Plateau and Towns, the Nyika Plateau. Mauritius is an island country in the southwestern Indian Ocean, in the vicinity of the Seychelles, and just as stunning. 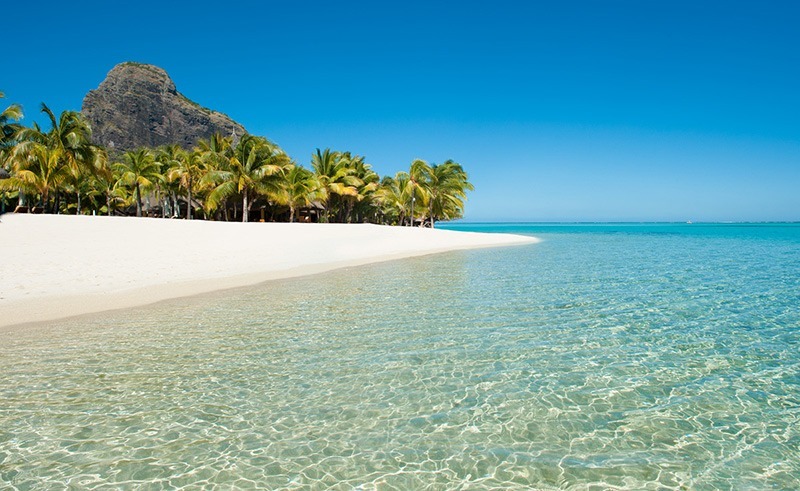 Mauritius consists of two large and several small islands. The climate is tropical with white sandy beaches and vibrant turquoise-hued waters. The Black River Gorges National Park covers a large part of the forest in Mauritius and offers spectacular scenery and unique fauna. 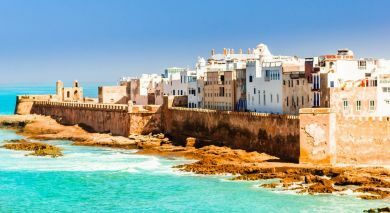 For travelers, the allure of Morocco is legendary! 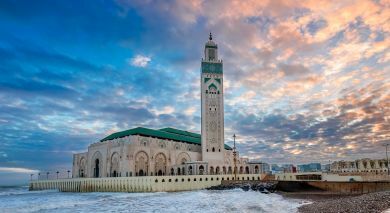 Right from the maze of souks and alleyways in the walled medinas of historic cities, to the urbane charm of Casablanca, Morocco offers an eclectic blend of the old world and the modern. 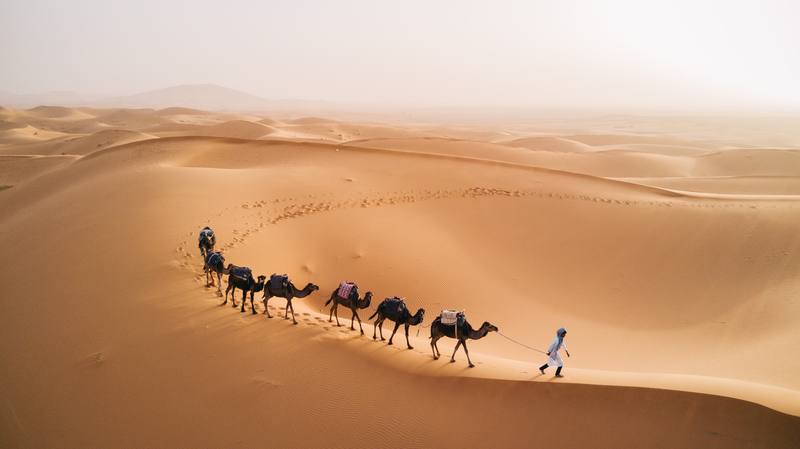 Further from its imperial cities, lie tranquil bays and the golden sands of the Sahara, where the ancient, desert way of life await discovery! 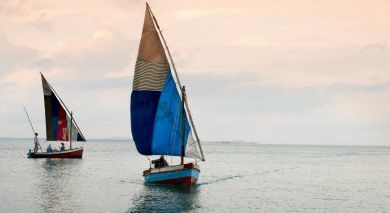 Mozambique is an exotic island paradise with an endless coastline on the Indian Ocean. With three national parks and the pristine islands of the Quirimbas and Bazaruto archipelagos, Mozambique boasts endless wildlife, white beaches and unspoiled coral reefs. The World Heritage site of Ilha de Mozambique offers rich historical activities and charming colonial architecture. Tour Highlights: Gorongosa National Park, Hidden Islands of Memba, Coral Reefs of Quirimbas, the Dunes of Bazaruto. Namibia prides itself as being one of the countries in Africa that has the allure of four countries in one; four different landscapes, each with its own characteristics and attractions. 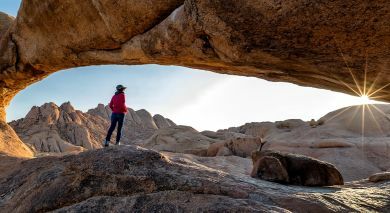 From the shores of the Atlantic to the Namib Desert, and vast Kalahari Desert with its red sand dunes, the country has something to offer every intrepid traveller. A critical and beautiful part of Namibia’s story is the extraordinary variety of wildlife. Namibia boasts one of the greatest wildlife populations in the world, many of which are are unique to the country. 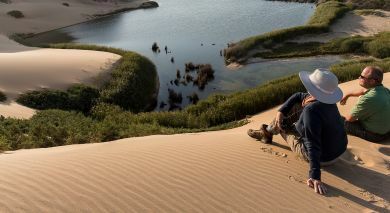 Tour Highlights: Red Dunes of Sossusvlei, Seals at Cape Cross, Etosha National Park. 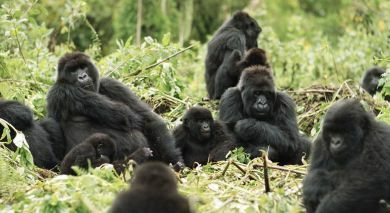 Best known for its wealth of primates, you can explore Rwanda’s endangered mountain gorillas and enjoy hikes in Parc National des Volcans. Look into the caldera of a volcano and visit the grave of renowned gorilla researcher Dian Fossey. Go canoeing on one of the many small lakes, visit remote island communities or enjoy a boat cruise on Lake Kivu with the breathtaking views of the mountains in Congo. Tour Highlights: Mountain Gorillas, Hiking in Parc National des Volcans, Canoeing, Boat Cruise on Lake Kivu, Birdwatching, Mountains. Discover a tropical wilderness consisting of pristine, palm-fringed white sandy beaches, unspoiled coral reefs, and a gentle turquoise sea. 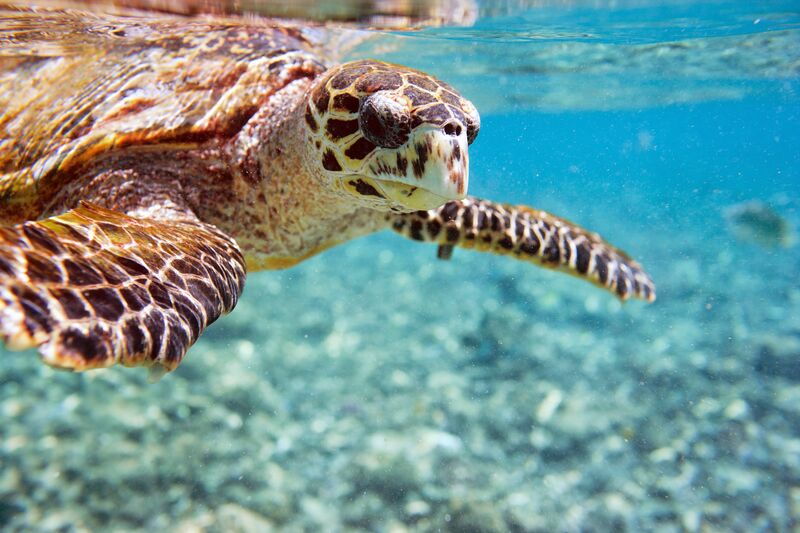 In addition to offering fantastic snorkelling, diving and sailing, the Seychelles are an exciting fishing destination for both experienced and novice fishermen. Spectacular trophy sailfish and marlin together with tuna, shark and giant barracuda can be pursued on charter boats and fishing excursions suitable for all abilities. Tour Highlights: Snorkeling and Diving the Coral Reefs, Big Game Fishing, Craft Village & the Creole Institute at Mahé. To travel to South Africa is to visit a large and extremely diverse country. 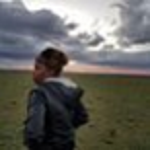 From vast empty spaces in the Karoo and scorched plains in the Kalahari desert, to hustling cities like Johannesburg and cosmopolitan Cape Town at the edge of the Atlantic Ocean, South Africa has it all. 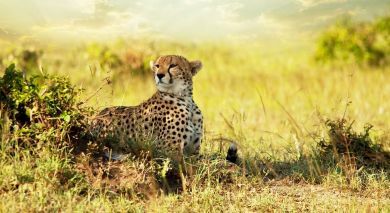 Discover the dramatic Kruger National Park or one of the surrounding private and exclusive game reserves. Beyond the mountains lies the famously fertile vineyards and even more wildlife adventures. Tour Highlights: Rhinos at the Hluhluwe-Imfolozi Game Reserve, Culture in the Capital of Johannesburg, Blyde River Canyon, Kruger National Park. 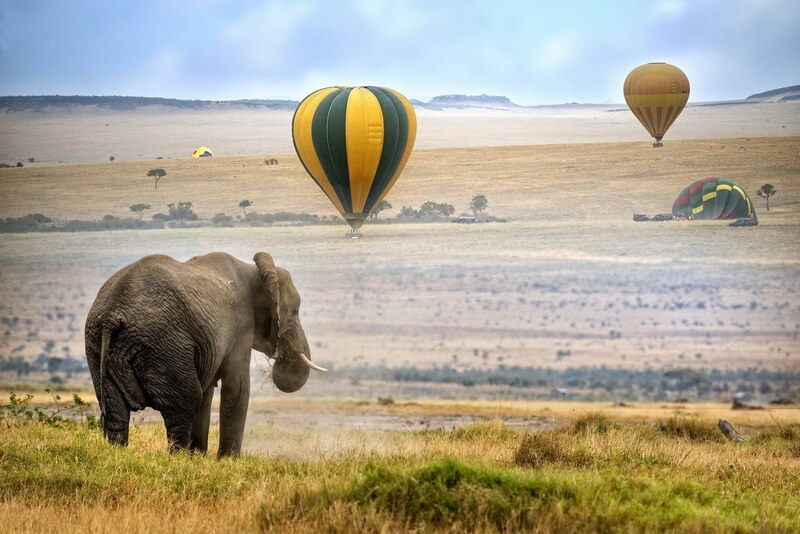 Unearth Africa’s iconic landscapes on your Tanzania travel vacation. The snow-capped peak of Mt. Kilimanjaro, the millions of wildebeest in the Serengeti, the breathtaking Ngorongoro Crater and the mystical spice islands of Zanzibar. See elephants and antelopes cavorting at the beach in Saadani. Get up close and personal with chimpanzees in Mahale and Gombe Stream. 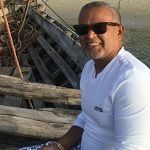 At the end of your safari, relax at one of Tanzania’s beautiful offshore islands, where beaches take center stage and tropical coral reefs are shoaled by the crystal clear Indian Ocean. 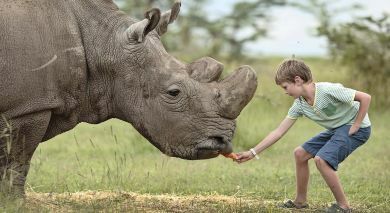 Tour Highlights: Mount Kilimanjaro, World-famous Serengeti Safaris, the Island Paradise of Zanzibar, Ngorongoro Crater. Expect ever-changing views of the iconic savannah grasslands, snow-capped mountains, picturesque villages, carpet-like tea country, breathtaking volcanoes, stunning waterfalls and countless lakes. From awesome encounters with chimpanzees and the endangered mountain gorillas, and laid-back villages along the shores of gorgeous Lake Victoria, to the thundering Murchison Falls, and the wilderness of Mt Elgon, Uganda has much to offer. 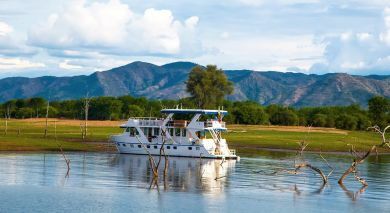 Swim in a crater lake atop the Mgahinga Volcanos, or watch hippos, crocodiles and buffaloes, on a relaxing cruise in Queen Elisabeth! 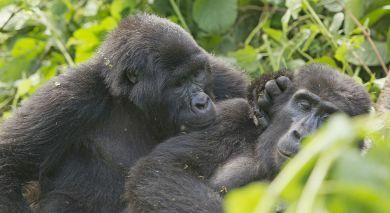 Travel in Uganda simply delights! Tour Highlights: Murchison Falls, Snow-capped Rwenzori Mountains, Diverse Landscapes, Lake Victoria, Wildlife Safaris, Primates, Adventure. Zambia remains a more non-commercial safari destination, with intimate camps in beautifully remote reserves. Zambia’s prolific game is especially exhilarating when encountered on foot. 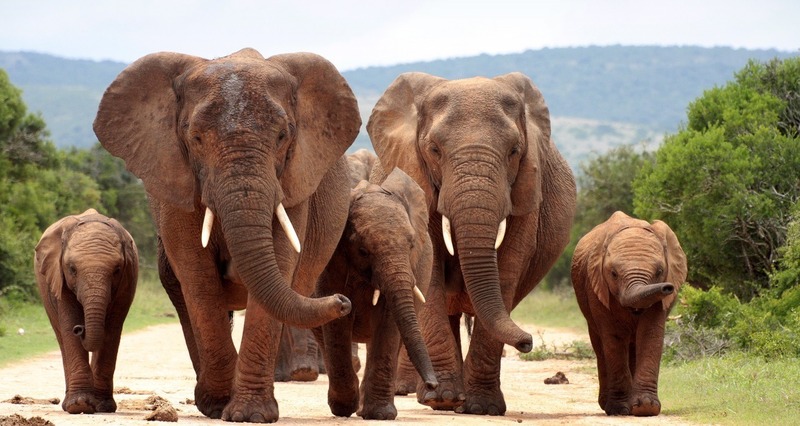 Elephant, lion, wild dog, spotted hyena, giraffe and puku are just some of the animals you will see. The national parks even allow night drives, adding a new thrill to game-viewing. 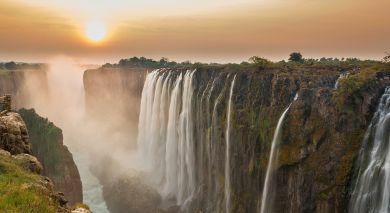 And don’t miss the awe-inspiring Victoria Falls at Livingstone! 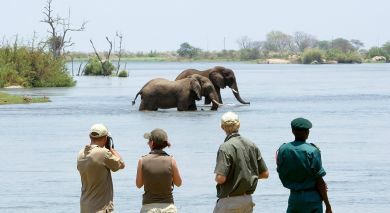 Tour Highlights: Victoria Falls, Walking Safari to the Mwaleshi River, Canoeing Lower Zambezi National Park. Vibrant Zimbabwe provides exclusive, peaceful safari experiences and the most qualified guides in Africa. 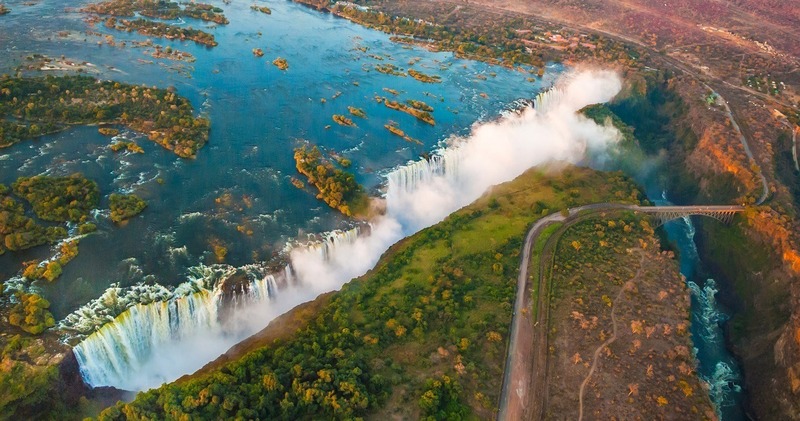 Enclosed between the Zambezi River to the north and the Limpopo River to the south, Zimbabwe has an inland plateau filled with rugged mountains, dense forests, and beautiful national parks. Gaze in awe at the breathtaking Victoria Falls or enjoy close encounters with elephants, lions and leopards on a game drive in Hwange. Tour Highlights: White Water Rafting near Victoria Falls, Ancient Matopos Rock Art, the Rare Black Rhinos and the Lions of Lake Kariba. Enchanting Travels made my husband's 60th birthday gift a truly memorable experience. 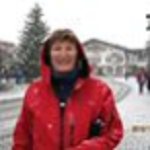 Well organized, professional and most importantly flexible in looking at the options that best suit your travel style and needs, I would highly recommend Enchanting Travels for your customized travel experience. Best travel agents they were with me every step of the way. I took a birthday trip to Kenya and I got to do everything that I wanted. I love theses people they were fantastic everyone should use them and if you plain a Africa trip ask for Danielle cicci loved her. From making enquiries to completing my trip, I had an excellent experience with this travel company. 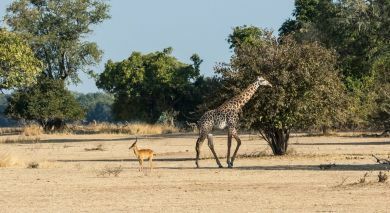 I travelled solo to Botswana, visiting 3 camps in the Chobe area and the Okavango delta, spending 2 nights at each camp. The private transfers, guides and general organisation was excellent and the trip coordinator was in contact with me throughout the trip. I felt well supported and thoroughly enjoyed my trip and the experience with Enchanting travels.